The US has told Pakistan to go after those terrorists who seek and “sometimes find safe haven” in the country and delegitimise all terror groups operating on its soil. 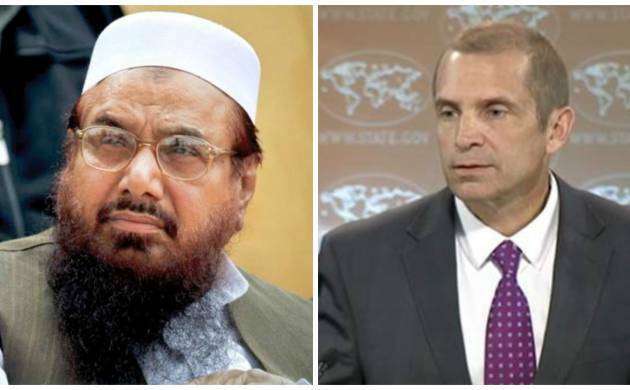 “We continue to urge Pakistan to take action to combat and delegitimise all terrorist groups operating on its soil,” State Department Deputy Spokesman Mark Toner told reporters at his daily news conference. “Obviously Pakistan has suffered greatly at the hands of terrorists and violent extremists. We want to help Pakistan confront this terrorist threat, but we also want Pakistan also to go after those terrorists who seek and sometimes find safe haven on Pakistan territory,” he said in response to a question on Friday. His remarks come amid heightened tensions between India and Pakistan following the Uri terror attack in which 19 Indian soldiers were killed and India’s surgical strikes on seven terror launch pads across the LoC on the intervening night of September 28 and 29. Earlier this week, in a clear indication of its support for India’s surgical strikes in PoK, the US said it empathises with the Indian position that it needs to respond militarily to terror threats and dubbed the Uri attack as a “clear case of cross-border terrorism”. The US had also called for greater cooperation and dialogue between India and Pakistan to bring down the recent tensions and said that they should adopt a “conciliatory approach” to resolve their “contentious issues”.